Today’s companies are demanding flexibility to design workspaces for their unique employee base/culture. 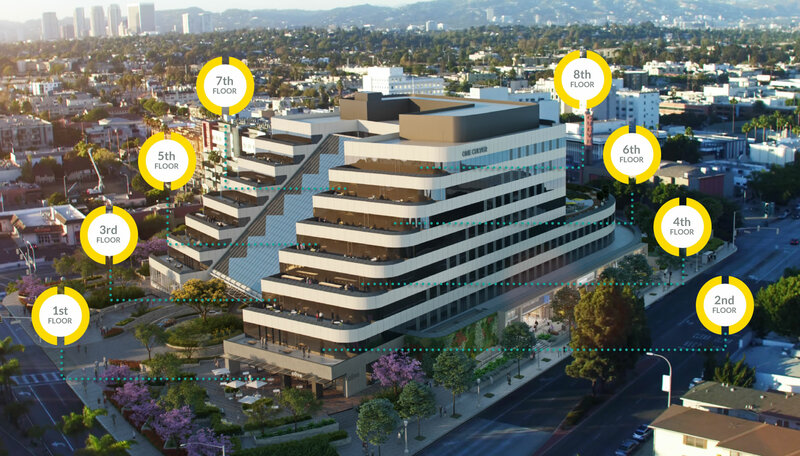 The renovations at One Culver have transformed an old traditional corporate office building into a modern, creative and open mixed-use office and retail environment that promotes an amenity rich base for customers and connects to the community of Culver City. The property provides indoor/outdoor common areas that promote wellness and integrate and leverage technology and green practices that improve building performance. The walkable proximity to downtown Culver City and nearby transit creates an active work environment.